Keeping lawns in tip-top shape is never an easy task, and one simple misstep can prevent you from achieving a lush green lawn you’ve always dreamed of. Extra care should be taken in trimming the lawn so as not to impact the root development. Regular lawn maintenance also requires tools and a significant amount of time. With all these factors to consider, lawn care is definitely a huge undertaking, but fortunately one that you can entrust to the professionals. With help from our expert staff at Acre Lawns, you can take the worry out of lawn maintenance and focus on your other tasks. From school grounds and reserves to smaller blocks – no matter the size of your lawn, our team always provides the highest quality and most efficient lawn mowing service. 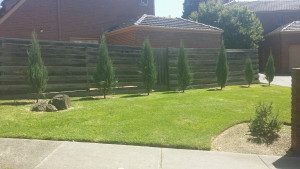 Acre Lawns is a professional lawn mowing and garden maintenance business that looks after lawns and grounds of both commercial and residential properties in and around the suburb of Mitcham, Victoria (East of Melbourne). We use the best, well-maintained equipment for every job. Our staff is fully trained and police checked and easy to identify on your property thanks to our professional uniform. Our customers benefit from our many years of experience maintaining lawns and gardens in the region. We’re happy to come by your property in Mitcham for a one-off mowing job or book you in for a regular lawn maintenance service. Ready to see how we can make your lawn look absolutely stunning? Get in touch with us for an obligation-free quote, which includes not just mowing, but also edging and blowing (unless specified otherwise). Mitcham (population 14,811 in the 2011 census) is one of the suburbs in North East Melbourne serviced by the professional garden maintenance team of Acre Lawns. The suburb is located about 20 kilometres east of the Melbourne CBD. Mitcham is part of City of Whitehorse local government area and is in the Deakin federal electorate. Useful information in these Frequently Asked Questions regarding planning, zoning, restrictions, building, land use, subdividing, pruning, tree removal etc. Permanent Water Use Rules for residential and commercial gardens and lawns in the Yarra Valley Water District, which includes the suburb of Mitcham. Local regulations for watering, hosing, washing, filling pools, spas, fountains and water features, as well as exemptions. Bunnings Nunawading, 250 Whitehorse Rd, Nunawading.